Here in North Texas, where temperatures can reach well over 100 F for weeks on end in summer, good irrigation is very important. When we visit landscapes, we often find that improper watering is the cause of many lawn problems. Often out-dated or leaky irrigation systems are to blame. Over-watering can cause a number of fungal diseases, while under-watering causes weakened root systems, drought stress and lawns that are susceptible to pest invasions. If you find that one area of your landscape is receiving too much water, and another not enough, then your automatic irrigation system could be in need of a check up. Is it wasteful to water a lawn? You might think that keeping your lawn watered during the hot months wastes resources and money; but the importance of keeping it healthy far outweighs the alternative. Lawn areas surrounding your home significantly lower temperatures, reduce soil erosion, help control storm runoff and improve air quality. Not to mention, lawn areas provide you, your family and pets a place to play and relax. Lawns are an important part of healthy urban environments. Knowing how to properly water throughout the year is essential. 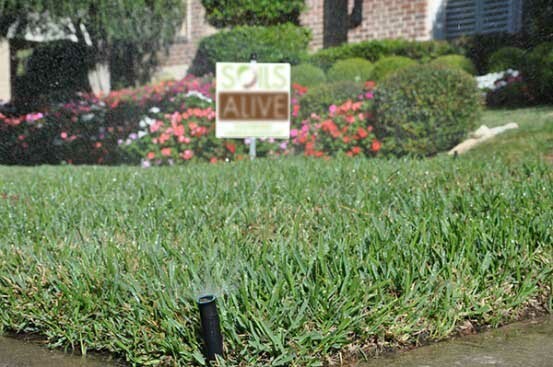 If you have an automatic sprinkler system, keeping it repaired and working properly can mean the difference between a healthy lawn…or a dead one! A certified irrigation specialist will audit, repair or refurbish your existing sprinkler system. Schedule your system to water each area for the right amount of time.. Your irrigation specialist will also provide recommendations on any adjustments or renovation that should be performed on your system. An investment in a yearly irrigation audit will save you money and water in the long run. Plus, properly watered plants and lawns mean less plant replacement. When should we do the work? If your system does need repairs, fall and winter is a great time to get them done. The last thing you want to do is shut down your system for repairs during the hottest time of year. By taking care of major irrigation work in fall and winter, your system will be ready to go once the heat of summer returns. If you need a recommendation for a qualified and certified irrigation specialist, give us a call.